Our renovation of one of Richland’s most historic and iconic buildings began at the dawn of 2017. It is with great excitement that we can say this renovation is complete and has opened its doors to the public! We have already hosted a few private groups, and each of them have been very complimentary of the restoration. This building’s 19th century character has been restored gracefully, and guests to the Richland Heritage House will be able to explore the makings of our rum in a setting which evokes charms nearly forgotten. The Richland Heritage House now serves as the embarkation point to begin tours of the distillery. Guests will be given a quick overview of the history of Richland Rum to open up the journey. They will then be guided into the distilling room where they will be given a detailed overview of stages two through four in the Richland Process— seeing 100% Pure cane syrup introduced to yeast for fermentation, and then into distillation. Seeing the large copper pot stills in person and in action provides an unmatched appreciation for the quality of Richland Rum. Tours will end in the barrel house, which used to serve as the origin of the tour. 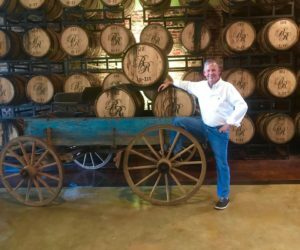 While exploring the barrel house, guests will get a chance to experience the single-barrel character of our rum, learning how each barrel bestows a different tasting quality upon the rum. In addition to the enhanced tour attributes, Richland Heritage House will also host special events and tastings of the entire Richland Rum expression lineup. Some of these expressions can only be experienced at the distillery. Other events will include various culinary and journeymen classes where patrons can experience culinary courses which combine creative food pairings with Richland Rum inspired cocktails and other beverages. Richland Heritage House will also offer bottles for purchase in addition to specialty merchandise and memorabilia. The home of our second distillery is set to open on the first week of December. It has been amazing to witness the transformation of this building which possesses a certain charm that encapsulates the spirit of Brunswick so well. Brunswick will be home to our first white rum, our “Single Estate Virgin Coastal Georgia Rum”. This expression will provide wonderful symmetry with our aged rum which will continue to be created in Richland. The Brunswick Distillery provides ample space to create Virgin Coastal Rum, and the open floorplan will allow guests to see the entire process from start to finish all in one viewing. Just as in Richland, Brunswick will offer exclusive tastings and opportunities to purchase limited release expressions that will not be available anywhere else. Special events and tastings will be listed on the Richland Rum website under the “Brunswick Distillery” tab, so be sure and visit the page for all the upcoming information. Beyond the distillery itself, Brunswick is becoming a lively town which captures the tradition of the past alongside innovation of the future. Strolling through its downtown streets amidst colorful facades and breezy palm leaves is an experience which calms the soul. Dozens of cafes, restaurants, and shops offer visitors to the distillery plenty of options to make an afternoon visit complete. It’s location is great for those traversing the coastal highways, and it is also worth staying a day or two to experience the Brunswick charms in full. We hope to see you all in Brunswick very soon! There is a lot of excitement circulating in Brunswick with the opening of our second distillery right around the corner. A major part of this excitement for us has been the addition of Bill Rush to help manage the Brunswick location. Bill has many years of experience in the hospitality business, having held leadership roles at golf courses and hotels all around the country. He now brings his expertise to our world of rum, where he will be in charge of a variety of marketing and communication related roles for us in Brunswick. We are thrilled to have him and his wife Mendi, as well as their dog Guinevere join our Richland Family! Let us also introduce you to Robbie Zimmerman, our Brunswick distiller. Judging by the last name, you may have deduced that Robbie Zimmerman is related to the master himself- Roger Zimmerman. If so, you would be correct. Robbie is the son of Roger and is our new distiller in charge of Brunswick. Roger has learned all the tools of the trade while under the tutelage of his father, and will bring excitement and expertise to our new Brunswick Distillery. Robbie will be in charge of crafting our Virgin Coastal Expression, along with other limited release expressions created in Brunswick. 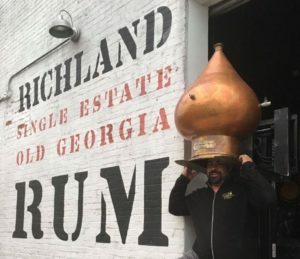 Trust us, his distilling skills are more refined than his taste for hats…but on second look, copper pot still headwear may be the up and coming trend in fashion! The launch of our ultra-exclusive “St. EOM’s Pasaquan Odyssey”, in partnership with Columbus State University Art Department, was made official on October 14th during the Pasaquan Opera at Pasaquan in Buena Vista, GA. It was a memorable night and musical performance by CSU’s Schwob Contemporary Ensemble, conducted by Paul Hostetter. Michelle Murphy DeBruyn was the featured Soprano, playing the roles of Eddie, his friends, family and other characters as well as narrator. Carey Scott Wilkerson was the Librettist, and James Ogburn was the composer. Guests were treated to an exclusive tasting of our “St. EOM’s Pasaquan Odyssey” expression, and were also able to purchase this limited release at the beautifully restored Fox Hall 1903 on the square in Buena Vista. The Richland Rum partnership with Columbus State and Pasaquan was formed to provide a unique way of bringing attention to the life and work of Georgia-born artist, Eddie Owens Martin (St. EOM). 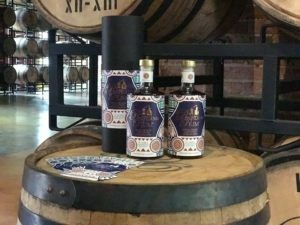 Proceeds from every purchase of the St. EOM’s Pasaquan Odyssey expression will go towards the foundation which helps to preserve and share St. EOM’s art mecca in Buena Vista, GA. Further, we hope that our rum will attract and enlighten new followers about St. EOM and his philosophy of unity. More Pasaquan events can be expected in the future, so be sure and keep an eye out for these and we hope you will set aside some time to learn more about St. EOM and make a visit to Pasaquan. To learn more about St. EOM and Pasaquan, click here. We plan on coming & doing a tour at one of your locations. I wished there was a place you can buy Richland Rum that’s local. Working it’s hard to fit over 5 hours of travel in but it will happen one day. We are a big fan of your Rum! !